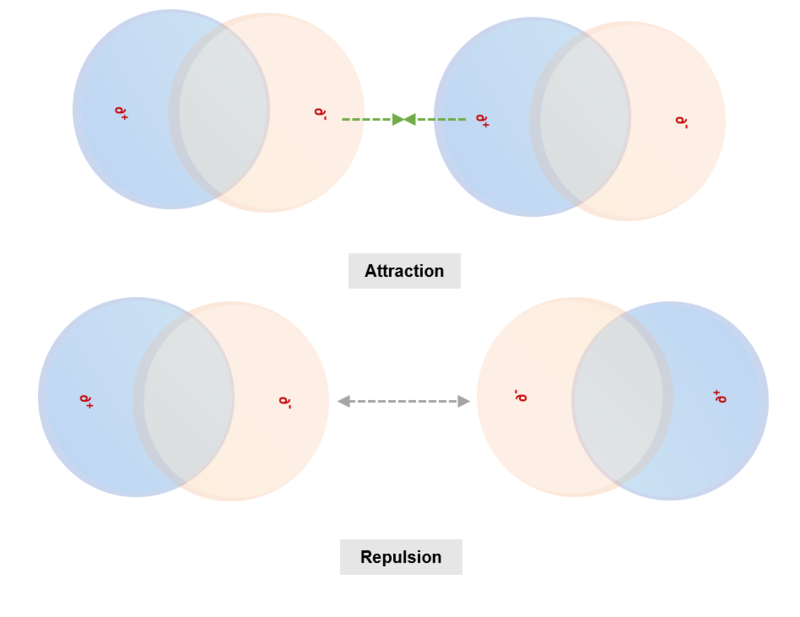 Dipole-Dipole Interaction is an electrostatic force that occurs between polarized molecules. It is the net attraction between two dipoles. 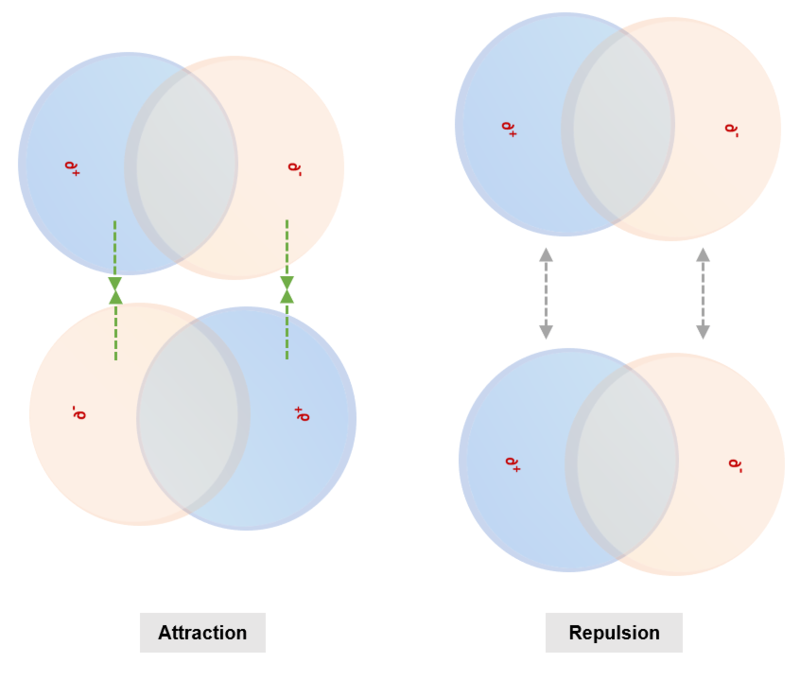 A type of intermolecular force, the dipole-dipole interaction takes place when the partially negatively charged pole on one molecule is attracted to the partially positive pole on the other molecule.